Here we go again. Paucity of original thought. The BBC is spending licence payers’ money on filming Agatha Christie novels that have been filmed just a few times already. Last year’s And Then There Were None was very successful (altering the storyline in the process). 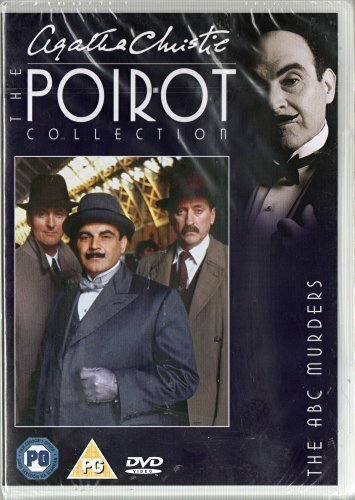 Next up, The ABC Murders – which features Hercule Poirot and was done very well with David Suchet in 1992. They’re also going to film Ordeal by Innocence, memorably starring Geraldine McEwan as Miss Marple in 2007, though admittedly the story did not feature her character; still it was also a major feature film in 1985. And then there’s Witness for the Prosecution, a two-parter that will feature the always watchable Toby Jones – though there was a feature film in 1957 (and another expected big screen version in the next year or so). All of the foregoing can be obtained on DVD. Following the lead of And Then There Were None, it is said that these latest versions are ‘a new way of interpreting Christie for a modern audience’. And the BBC boss Charlotte Moore says this run of Christie dramas would ‘continue BBC1’s special relationship as the home of Agatha Christie in the UK.’(sic) Where was she when Marple and Poirot were being aired on ITV: Marple 2004-2013/Poirot 1989-2013. Clearly, at some expense the BBC has acquired the Agatha Christie rights. Spendthrifts. Shame on them. In truth it’s laziness, mining seams that have already been explored. Far easier to work on old mines than discover new workings. Don’t these dramatists, producers and directors read? Go to a bookshop, or if there aren’t any of those in the town, go to the general library (though there may not be many of those around either); all right, go online, key in ‘books/murder mystery/’ and you’ll be spoilt for choice. I’m sure thousands of licence payers would happily recommend some of their favourite books to be filmed for the first time. One response could be: Well, Hollywood has been doing it for years, so why not the BBC? The difference is, Hollywood gambles their own money, not licence-payers’ fees. The BBC airs enough repeats anyway, and to all intents and purposes these remakes are not far removed from that! And while the new Poldark series is hugely popular, it is a remake. The author Winston Graham is one of my many favourites. If they want to film a period piece, I’d recommend his Cordelia, a superb novel. There are other historical novels from his pen worthy of transfer to the small screen too. And countless other authors, alive and dead. Sigh. Sadly, that takes imagination… Yes, Hilary Mantel has done well, and Philippa Gregory, so it’s not all bad, granted. Yet there are so many more on those library shelves! 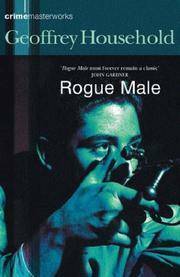 Geoffrey Household’s classic novel Rogue Male was published in 1939, which gives it immediacy for that time. The unnamed narrator, a British aristocrat, has just failed to assassinate the tyrannical leader of a European country – whether it’s Hitler (probable) or Stalin is not explained. He is captured by secret service men and tortured and questioned but tells them nothing. They believe he is working for the British government; he insists he is a private individual and was simply hunting near their leader’s House. The first implausible plot-point then arrives. Instead of killing him as an inconvenience, they engineer an ‘accident’, throwing him off a cliff with his belongings. ‘British aristocrats meets with unfortunate demise while hunting’. But, naturally, our resourceful narrator survives the fall (or we wouldn’t be reading the story) and, though seriously injured, sneaks away before the local police can ‘find’ the ‘unlucky tourist’. The survival and escape from pursuit are Household’s strengths in this tale. He describes the difficulties well, and we can empathise. Where Household’s narrative falls down, and thus diminishes the ‘believability’, is in his description of the characters he encounters during his escape. They are virtual cyphers, without colour in their eyes, without facial features of note. ‘Mr Vaner received me in his cabin. He was a dashing young man in his early twenties, with his cap on the back of a head of brown curls.’ (p35) Plenty of writers don’t over-describe, arguing that the reader can visualise the character however they like. But in a novel that purports to be ‘real’, every tiny detail adds to the verisimilitude. The intimacy of detail lends credibility. As a thriller, it succeeds in several aspects: the chase, the suspense engendered by hiding and the risk of discovery. The action, when it occurs is muted, reported rather than visualised. There is little ‘show’, only ‘tell’. The deathly struggle in the Underground is without visuals; fine, it’s dark, but there’s no visceral feeling of being there. (p55) The dramatic moment is lost. One of his persistent pursuers goes by the name of Quive-Smith and the final confrontation with him is quite suspenseful. Here, we learn from Quive-Smith that ‘It’s the mass that we are out to discipline and educate. If an individual interferes, certainly we crush him; but for the sake of the mass – of the State, shall I say?’ (p136)This might indicate the Soviet frame of mind, rather than that of the Nazi. Hence, the leader could conceivably be Stalin, not Hitler; it matters not, both were worthy of assassination, as millions of dead souls would testify. It is only when we get to p143 that we glean the motivation behind the narrator’s abortive mission. A nameless woman, his only love, put up against a wall and shot by followers of the leader. This section is woolly. We don’t know why she was done to death, though it’s likely she objected in some manner to the leader’s creed. And we certainly don’t see her in the narrator’s mind’s eye; so we have no empathy. The story is told in three chapters, originally scribbled in an exercise book, which he posted to his solicitor friend, Saul (another character without description). This book has been considered superior to Buchan’s The 39 Steps (1915), but I don’t believe it is. Certainly, it employs much that became familiar in thrillers – long flight and pursuit and the resourcefulness and pluckiness of the hero as exemplified by Buchan’s novel. They are both books of their time, and indeed both have inspired future thriller writers. If you’re a fan of thrillers and you haven’t read either of these, now is a good time to remedy that omission. This is a ‘feel-good’ movie with accolades such as ‘Wonderful and heart-warming’ and ‘A film to fall in love with’. 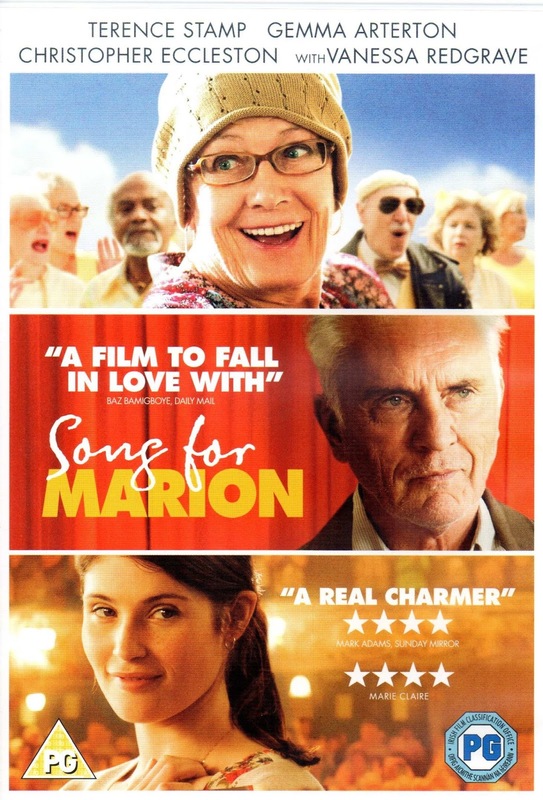 Song for Marion is a small British film that’s all about character. Grumpy pensioner Arthur (Terence Stamp!) is distressed by the ailing condition of his wife Marion (Vanessa Redgrave). One of Marion’s outlets is performing in the local choir, the OAPz, run by Elizabeth (Gemma Arterton). It’s not really a spoiler, since the title gives it away: Marion is determined to perform in a choir competition, but unfortunately she dies before that can happen. Arthur shuts himself off from the world, won’t talk to his estranged son (Christopher Eccleston), and wants to grieve in his own way. Stamp shows in his minimalist acting how to deliver a character with a broken heart who is incapable of seeking solace. Elizabeth subtly worms her way into Arthur’s orbit and through guile and charm, she begins Arthur’s life affirming journey, a journey that is at times amusing, often poignant, and beautifully told. The acting honours are shared equally by Redgrave, Arterton and Stamp; he’s a revelation. This could so easily have been Hollywood schmaltz, but instead it’s grounded and sensitive. Music is the international language, the language of love, indeed. Worth keeping a tissue or two to hand. Footnote: revealed in the credits: surprisingly, although the film is set in London, it was mainly filmed in Newcastle upon Tyne and Durham. Stableford jumps into the action at once, Grainger on the run from miners on the planet Rhapsody. We don’t know why he’s in this predicament, but it will be revealed in flashback. 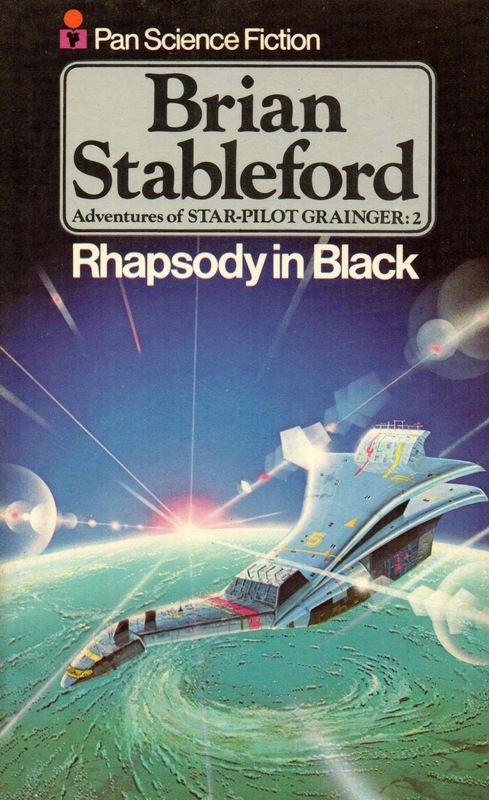 Rhapsody is one of ‘God’s Nine Splinters’, isolated worlds with a religious bent, the others being: Ecstacy, Modesty, Felicity, Fidelity, Sanctity, Harmony, Serenity, and Vitality. Life on Rhapsody is lived underground, the denizens only comfortable in darkness or semi-darkness; hence the title. They’re constrained by their leaders who are strict; as one stated, ‘There’s a lot of life in the old dogma yet.’ As a pun, it’s not bad, I suppose. Why is Grainger here? As the indentured pilot to the owner of the Hooded Swan, he goes where he’s told. The owner, Charlot has heard there’s something valuable on the planet, and he wants to negotiate for it. To further his aim, he has co-opted some exiled people from the planet to help. Unfortunately, on arrival the religious indigents imprison them all. They escape and then the chase goes on through the mine shafts. The characters from Halcyon Drift, Eve, Johnny and Nick hardly enter the story. Grainger’s mind-parasite – which is a symbiote, it insists – does not figure greatly either, though he comes to the fore when needed. The Hooded Swan isn’t in the story much, either. He misuses ‘he hissed’, one of my pet hates since it was pointed out to me decades ago by sci-fi author Ken Bulmer, but he’s not alone there among popular authors. There’s a twist at the end. The series obviously survived through popularity, so I’m sticking with it. Pan books maintained the cover design for the six books, which must have gladdened the author's heart. At the time, all Pan sci-fi featured the same silver oblong box; this boldly identified the author and the genre, though I'm sure it created visual issues for the artists! Some films are small but have big hearts and this is one of those. 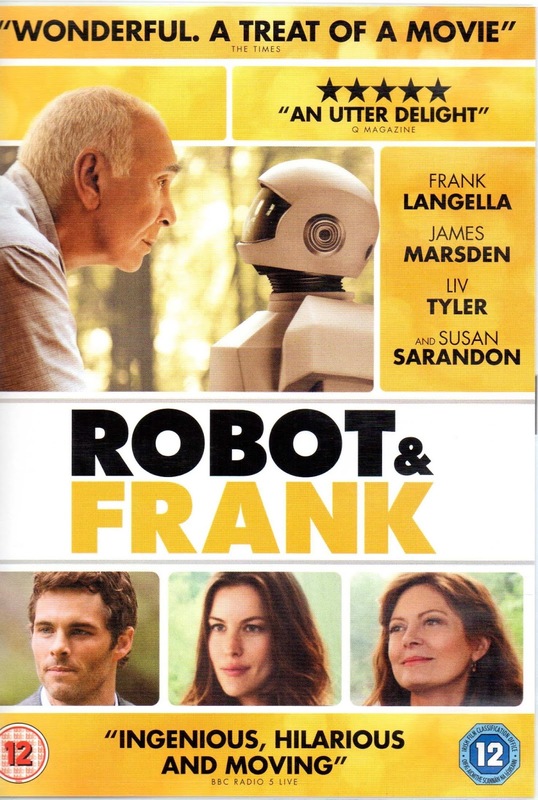 Robot & Frank is set in the near future. Frank (Frank Langella) is a retired burglar who now lives alone. He’s suffering from the onset of dementia, but he’s in denial, to the frustration of his son Hunter (James Marsden) and daughter Madison (Liv Tyler) who have their own lives to lead. Against Frank’s wishes, his son buys a walking talking humanoid robot to help around the house, preparing meals, essentially fulfilling a carer role. Robot: Hello, Frank, it’s a pleasure to meet you. To which Frank replies, How do you know? The robot attempts to improve Frank’s lifestyle, by by getting him to eat healthier food and going on walks. Robot: Frank, that cereal is for children. Eat this grapefruit. Frank: You’re for children, stupid. The voice of the robot is Peter Sarsgaard, exuding patience and solicitude regarding curmudgeonly Frank; he also has some of the best lines. Yet this undoubtedly Langella’s film, though he is ably supported by the rest of the cast. Langella performs a master class in conveying his character’s confusion, stubbornness, and compassion. Susan Sarandon underplays Frank’s only friend, a librarian. There are plenty of amusing scenes and lines, including the interchange between Frank’s robot and the robotic library assistant, Mr Darcy. At the heart of the story is the growing friendship between the robot and Frank, especially when Frank realises that he can utilise the robot’s unique abilities to perform another heist. There’s a poignant twist, too, which alters much that we thought we knew. The film deals with dementia in a non-sentimental but honest way. Paradoxically, the friendship between man and machine extols humanity. A moving, thought-provoking little gem.